I’m excited to announce the release of my new album Music For Chameleons, which comes out March 10 worldwide on Sunnyside Records, except in Brazil on Warner Brasil. You can pre-order it now, using any of the links below! On March 9 I’ll celebrate the release with a show at Rockwood Music Hall, featuring Jeremy Gustin on drums, Will Graefe guitar and Ben Davis bass. You can get tickets here. 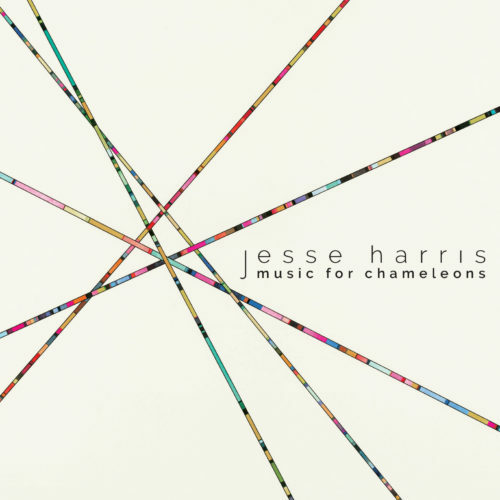 This album was a truly collaborative effort, with not only Jeremy Gustin (drums) and Will Graefe (guitar) accompanying me again after our last album “Jesse Harris with Star Rover – No Wrong No Right,” but also Jesse Carmichael on keyboards and guitar and Jason Lader on bass and keyboards – all of whom co-produced the album. Maycon Ananias, who wrote the string arrangements for and played keys on my Rio-de-Janeiro-recorded album Sub Rosa, wrote the string arrangements, which he recorded in Curitiba, Brazil. Petra Haden, with whom I toured much last year in support of our album “Seemed Like a Good Idea – Petra Haden Sings Jesse Harris,” added vocal arrangements. And Gabriela Lucia, who toured with me and Petra on percussion, sang harmonies. Check out the first video from my new album, Music For Chameleons, for the song “I’m Not On Your Mind,” shot above the streets of Red Hook, Brooklyn. Thursday, March 9 there will be an album release show at Rockwood Music Hall, immediately following a set by the Julian Lage/Chris Eldridge duo. Come on out! You can buy tickets now. 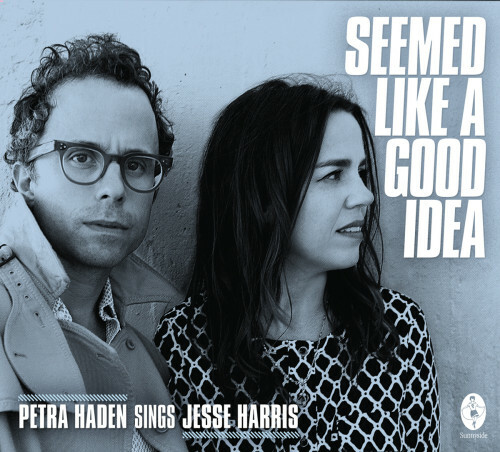 I’m very excited to announce that “Seemed Like a Good Idea – Petra Haden Sings Jesse Harris” will be released April 29 by Sunnyside Records. You can pre-order the album at Amazon or Bandcamp. Today we’re premiering the beautiful video for “Sometimes You Have To Choose Sides,” which was shot by two great filmmakers, one German and one Brazilian, on a cross country trip with a drone and a lot of imagination.. Starting March 29 we’ll go on tour in the US, opening for Sean Watkins (of Nickel Creek and The Watkins Family Hour), in the middle of which we also have shows in Japan and China. The full schedule is below. In other news, Star Rover and I have recorded a new album, which will be released later this year. In the meantime we’ll be playing the new songs at The Manhattan Inn in Greenpoint, Brooklyn March 6. Come on out! 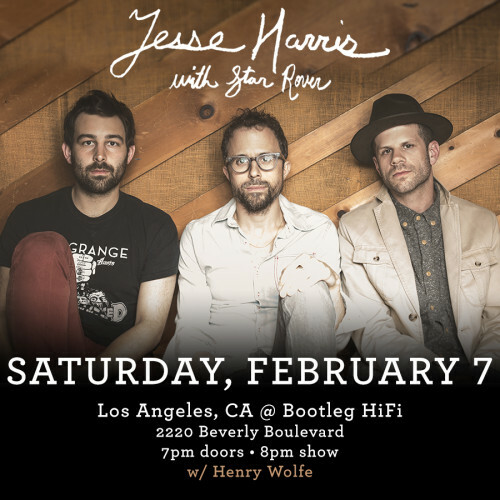 Jesse along with the duo of guitarist Will Graefe and drummer Jeremy Gustin (collectively known as Star Rover) visited the Dangerbird Studios in Los Angeles to perform five songs from their recently released album No Wrong No Right, available now on Dangerbird. Hola! Shows in September, October and November! If you haven’t been to Richard Julian and Rosita Kess’ amazing new bar and live music venue Bar Lunatico in Bed Stuy, you’re missing out! 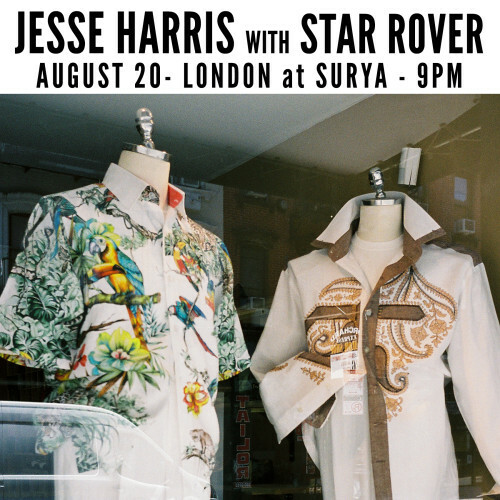 Next Thursday the 24th I’ll play two sets there with Star Rover. At the end of October, Will Graefe and I will travel to Mexico for a number of shows duo before heading up to LA to meet up with Jeremy Gustin and do a JH & Star Rover show at Blue Whale November 9. 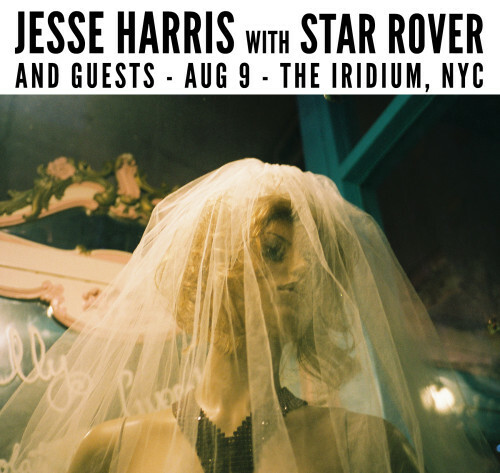 We’ll also perform with Petra Haden at Largo November 10, in a bill titled “Petra Haden Sings Jesse Harris,” which is also the title of our album together. Look for a release in Spring 2016! Are you a fan of Forro in the Dark? Check out their new album of John Zorn’s music, “Forro Zinho,” which I co-produced with the band. You can find it at Tzadik.com. 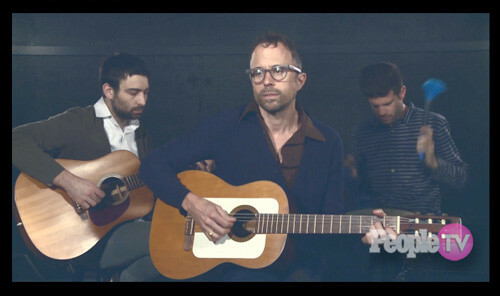 “Catch The Ash” Video Premiere at Entertainment Weekly. The new video of “Catch the Ash” from my latest album No Wrong No Right was premiered at Entertainment Weekly. Director Lyle Owerko and I went back to our iPhone roots and shot a quick video that I edited using iMovie. Jesse and Star Rover performed an acoustic version of “No Wrong, No Right” for PEOPLE.com’s Music Lounge. Check it out HERE.